I spotted a bit of current-events-related humor at the local Bagels & Beans today. The sign outside proudly states “Our coffee is horsemeat-free!” No idea if they sell civet coffee, though. 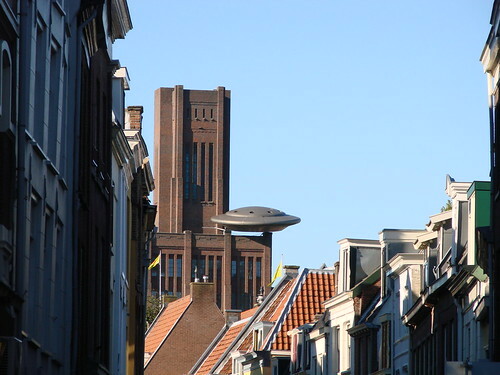 Utrecht seems to attract UFOs. First there was the one that landed on the Inktpot back in 2000. Sure, they say it’s just an art installation by Marc Ruygrok for Panorama 2000, but I’m pretty sure* it was a real alien landing along the lines of Area 51, and they’ve simply chosen to hide it in plain sight. I hope they’re not coming for me! After all, this isn’t the first time I’ve seen alien spacecrafts. 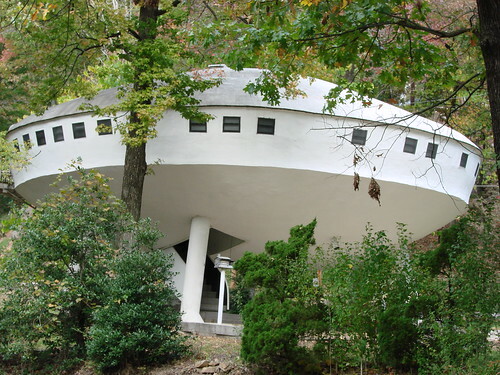 They keep trying to hide them in plain sight, such as on a mountain in Tennessee. I’m onto them, though. I’ve got my tin foil and my towels ready. 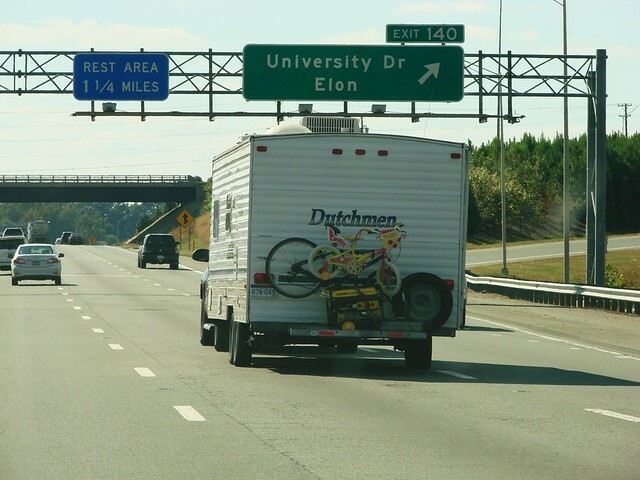 Boy Scouts weren’t the only ones taught to be prepared! **I forgot they’re closed on Saturdays. ***This is completely true. Cats really are from outer space. 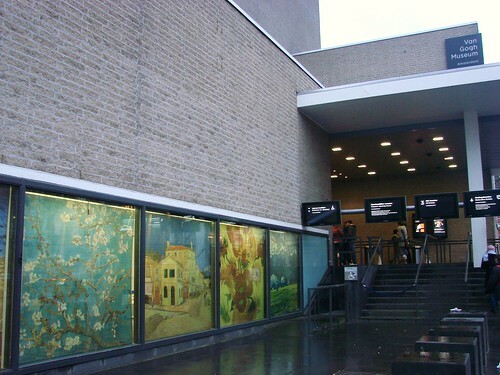 A few weeks ago, while visiting Amsterdam with a friend, I finally visited the Van Gogh Museum. 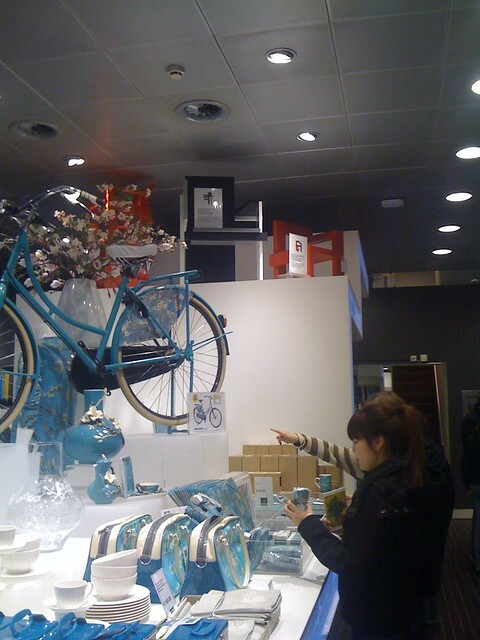 As we were standing in line to check our coats and bags, I couldn’t help but notice a couple of my favorite Rietveld chairs on display (up high) in the gift shop. I was curious as to why they were on display, but soon got distracted by the actual museum exhibits. 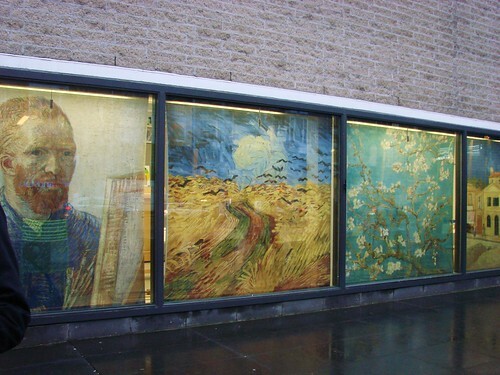 There really is something thrilling to see the impasto of Van Gogh’s work. To see the swirls of paint colors and their dimensionality really does add a whole new level of connection to the paintings. Still, after our trip through the museum, we couldn’t resist heading back to the gift shop to see what was on offer and I took the opportunity to look a bit more closely at the Rietveld chairs. I could just read the small sign next to the chairs that explained that Gerrit Rietveld (my beloved Utrecht architect and designer) was the designer for the main building of the Van Gogh Museum! 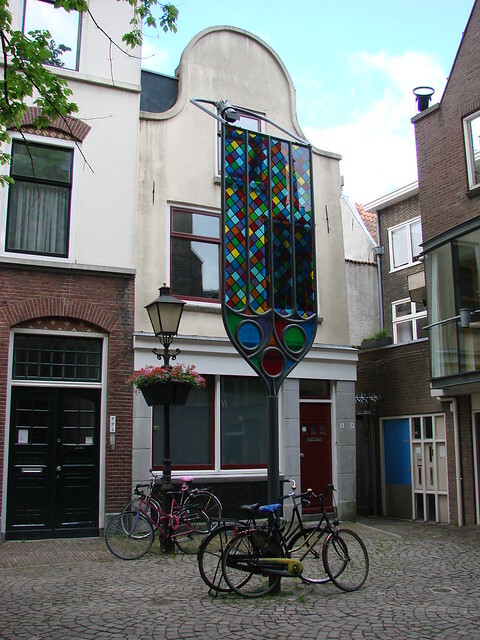 I’ve been slowly checking off the various Rietveld-designed buildings here in Utrecht, but haven’t looked into many of his buildings outside the Utrecht region, thus my surprise. Also a good reminder that I need to look further into his other buildings throughout the country. 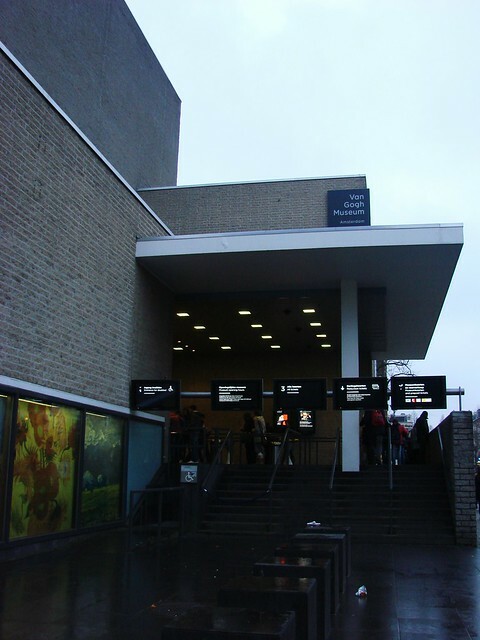 The Van Gogh Museum was Rietveld’s last commission, and in the end, he was only able to come up with the design before his death in 1964. His partners, Van Dillen and Van Tricht, carried out his plans, and the museum was opened in 1973. One of the main features of the building is the large central staircase that leads visitors through the multiple levels. It includes a skylight at the top that allows natural light to shine through. Or lets the grey light filter in, as it did on the overcast day we were there. Regardless, it’s an attractive, geometric, and nicely proportioned staircase. 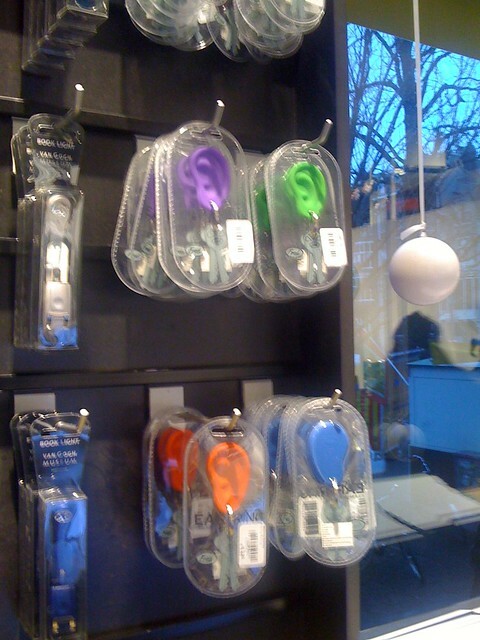 Yes, those are plastic key chains in the shape of an ear. Brilliant! We went for a walk today, as I like to do on the first of January when it’s quiet and there’s just the leftover remnants of the night’s celebrations. Usually, there’s the remains of the fireworks, although I think the city cleanup crew got there before I did, since the worst of it seemed to be gone already. 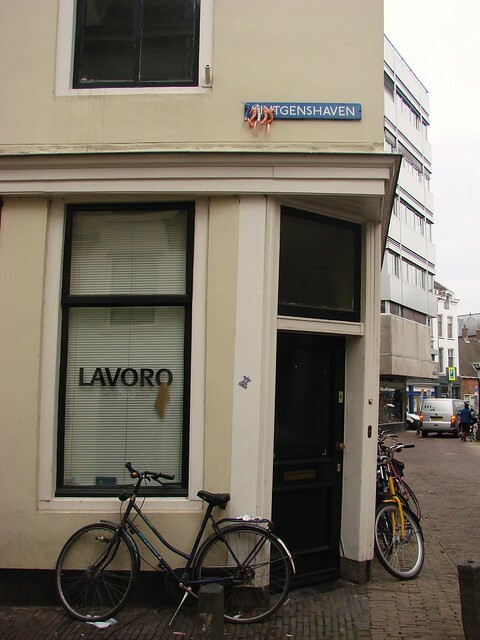 Still, as we walked past Janskerkhof, I saw the perfect symbol. 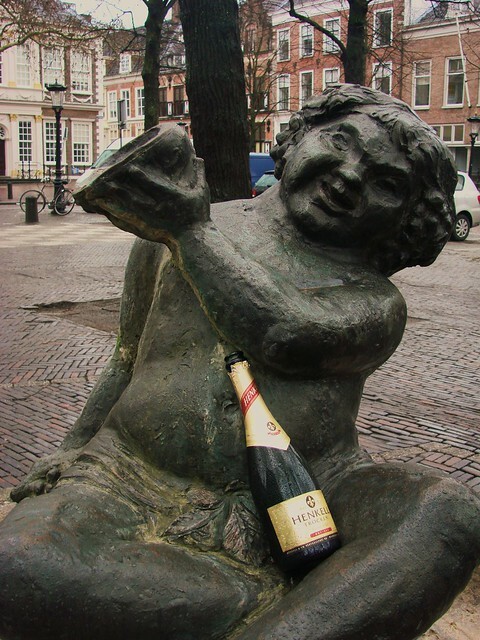 The fountain of Bacchus, empty, with an empty wine bottle sitting in his lap. I couldn’t resist this shot, of course! Our New Year’s Eve was a bit of a bust in some senses. Our lasagne dinner was delicious as always, but we couldn’t fully get into the spirit of the evening because Pippo was a quivering, shaking mess for about nine hours. When you see your dog in such misery, it’s hard to feel like celebrating. We gave him some light anti-anxiety medicine, but next year he’s going to need a stronger dose. In fact, he was so tired today that he seemed quite content to stay home while G and I went for the walk around town. Since yesterday wasn’t such a great evening, we’re doing a New Year’s Eve 2.0 tonight. Instead of lasagne, we’re doing the traditional Southern (US) New Year’s Day meal of pork, greens (kale, in this case) and hoppin’ John (rice and black-eyed peas). But with some more sparkling wine to celebrate, and hopefully room for the oliebollen we never got around to eating last night! And I’m sure we’ll have an earlier bedtime! But at least we’ll all be happy and calm and can have a nicer start to 2012. One of the frequent search terms people use that lead them to my blog is “beesie”. A beesie is one of the little toy thingies that the Albert Heijn grocery store was giving away during the World Cup period in 2010. The things showed up everywhere and we certainly had fun with them, using them as bracelets and hair ties, as well as home decorations. I still have a bowl full of them. Still, I’m always surprised when I find people still looking them up online. But then I see sights like this and think maybe it’s not so odd that people are still looking them up. After all, they’re still showing up in strange places, even after more than a year! It seems like Neude (one of the central squares in town, in front of what used to be the post office) is never empty for long. The latest installation is a long building taking up most of the square. Inside? An ice rink! From now through 8 January, you can go skating every day, from 10 a.m. until 10 p.m.
We stopped by Neude yesterday on our way to the kerstmarkt on Twijnstraat and couldn’t resist going in to see what was on offer. 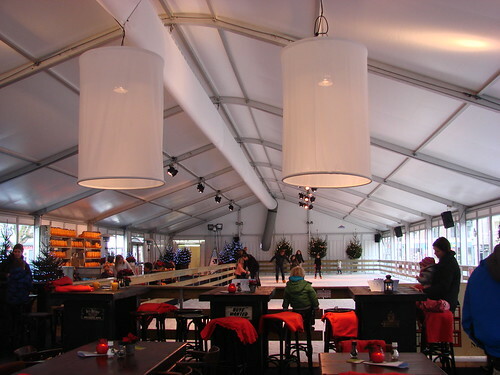 Along with the actual ice rink, there’s a very nice looking café serving sandwiches and a few warm food items, as well as a variety of drinks. I was surprised at just how nice it is inside, especially for a temporary structure. I guess this is the winter version of the beach-side restaurants that pop up for the season. It’s pretty reasonably priced, as well, with skate hire costing €5 and unlimited skating time costing €5. It almost makes me want to go ice skating, despite the fact that I think I’ve only been twice before and that was more than 20 years ago. As with roller skating, I tend to cling to the wall with a death grip for the first hour or so. Still, it always looks like so much fun. If you do go, I think you’re supposed to have gloves. Also, Norwegians are not allowed. No, really! I checked the rules and it says Noren are not allowed, and that translated to Norwegians! I’m not sure why there’s such specific national xenophobia; maybe they just don’t want to be shown up by their Nordic cousins to the north. Or maybe Noren are a type of those long-blade speed skates, and actual Norwegians are allowed in. 😉 I suspect this to be the case, since the Dutch are no slouch when it comes to speed skating, having won numerous medals. So, if you’re in Utrecht and want to get in a bit of ice skating while we wait for the lakes and canals to freeze over — perhaps this year will see the Elfstedentocht? — head to Neude and try to keep your bum dry! File this posting under random thoughts and observations. I’ve noticed this year that I’ve seen a LOT of people here (usually student-age) wearing the famous I [Heart] NY t-shirts. It seems too prevalent and too much of a fashion thing to be just the result of a lot of tourism to NYC. The other night, while pointing out to G yet another person sporting one of the shirts, he reminded me that the Dutch do have a special connection to NY. I guess those early Dutch expats were sending back t-shirts to their relatives here in the Netherlands with an I [heart] NA(msterdam) logo, the same way American expats now send back wooden clogs to the family members back home. Yeah, the whole conversation was much funnier in person. 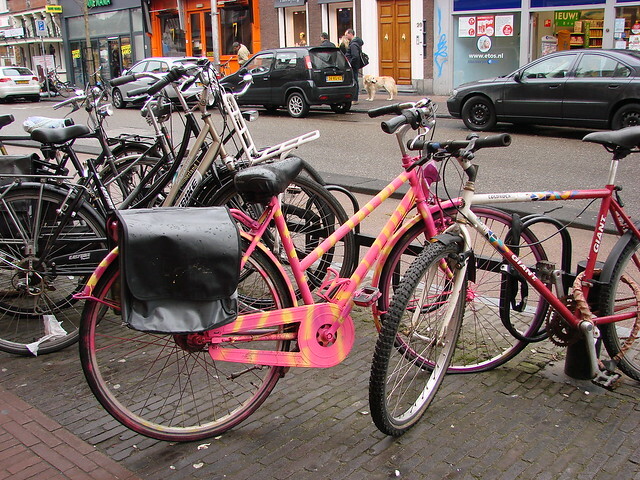 On the other hand, Dutch pronunciation, when heard by an English-speaker, can be both eye-opening and amusing. We learned about Vocking sausage/meats/liverworst the other night. 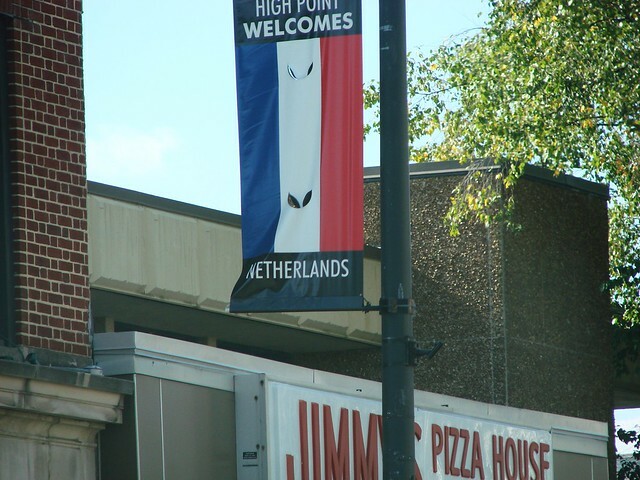 One of our Dutch friends had a bit of fun with us on that one. Let’s just say that the V in Dutch often has more of an F sound, and leave the rest to your own imagination. I do try to keep this blog somewhat clean. My parents might be reading. 😉 That said, I do recommend Vocking if you’re here in Utrecht. Very tasty! 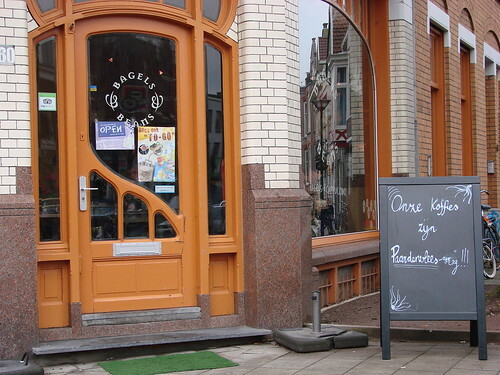 I gather it’s only really available in the Utrecht region, though, as the owner wants to keep it strictly an Utrecht thing.